Usually after the December holidays, and all of the crafting opportunities that season provides, I find myself in a January slump. 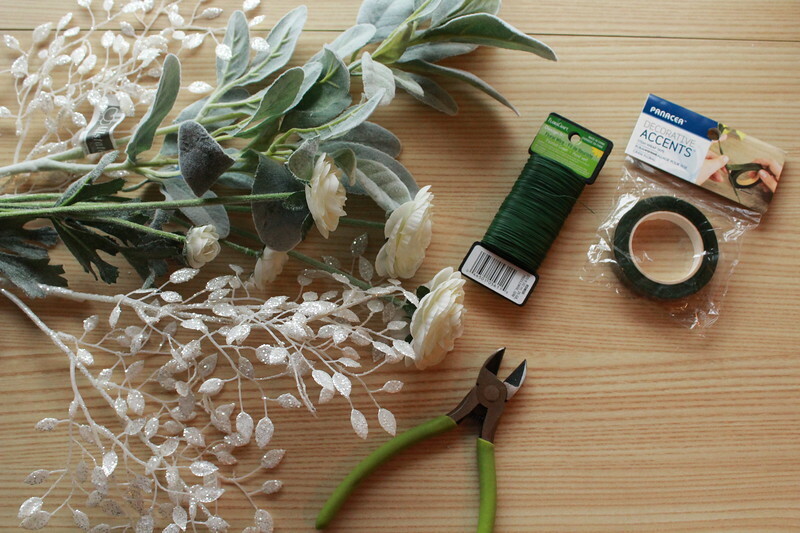 I'm never sure what to do with the cold weather, although being stuck indoors is really the perfect time for crafting! 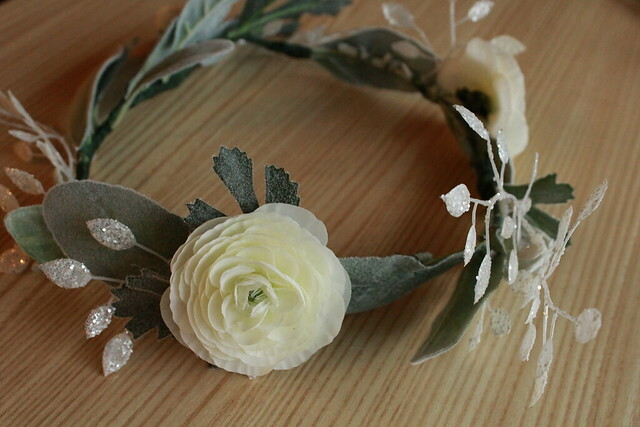 I decided to embrace winter with this next craft, and make a frosty floral crown. 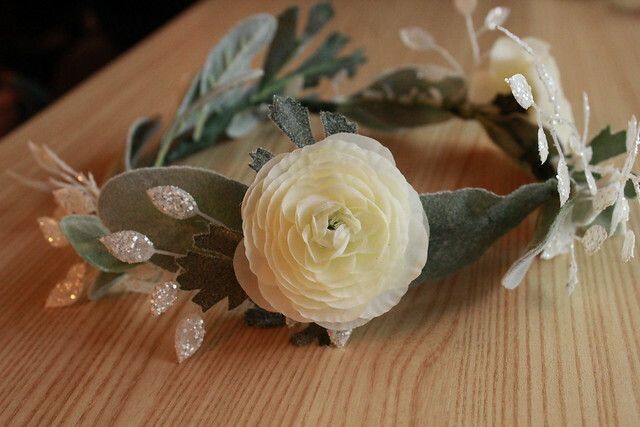 I was inspired by some faux Lamb's ear leaves at the craft store, and grabbed some pretty white flowers and glitter leaves in the same section. 1. 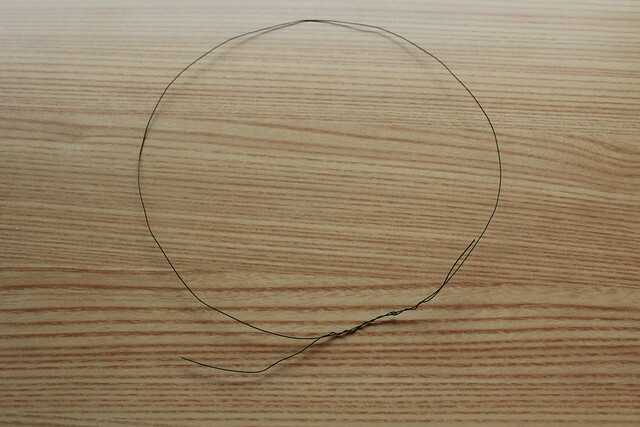 Measure your head with a piece of string, pulling taut, and cut to length. 2. 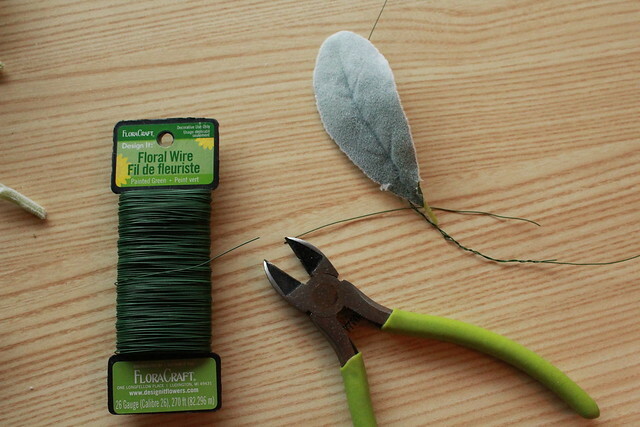 Cut a length of floral wire the same length as the string, plus a bit more wire to twist tie together. 3. 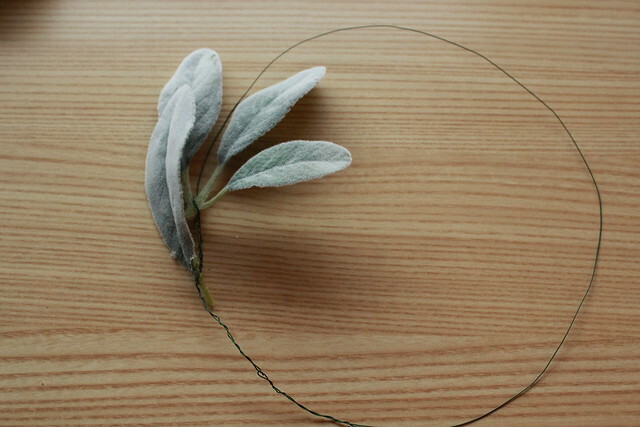 Make circle shape with floral wire and twist tie ends together, wrapping wire until no loose pieces remain. 4. 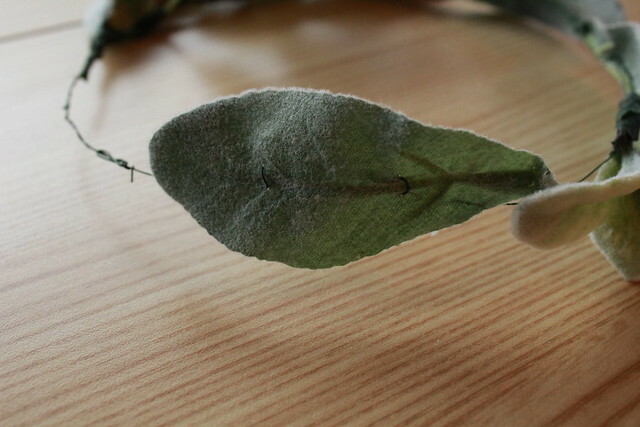 Clip Lamb's ear leaves into smaller sections, leaving some groups, and some single leaves. 5. 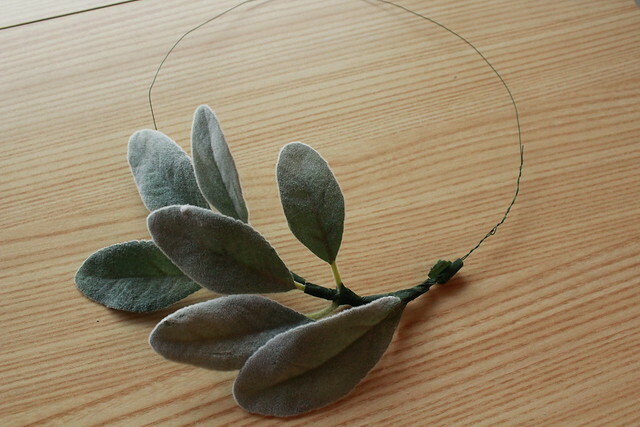 Using floral wire, attach leaves to "crown" piece. 6. 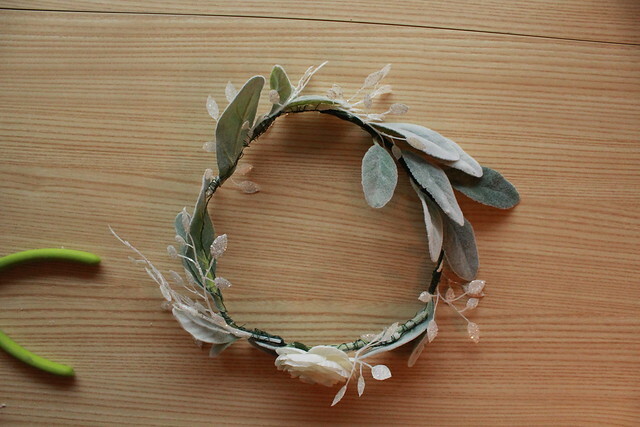 Once you've wired some leaves to the crown, wrap that with floral tape to secure leaves. 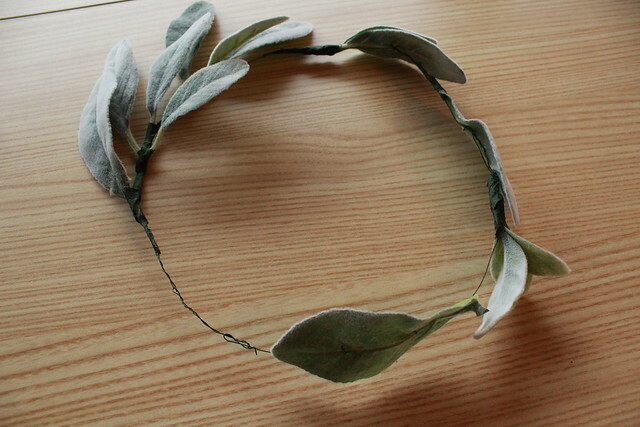 Hot glue is optional, but I stuck with just wire and tape for my floral crown. 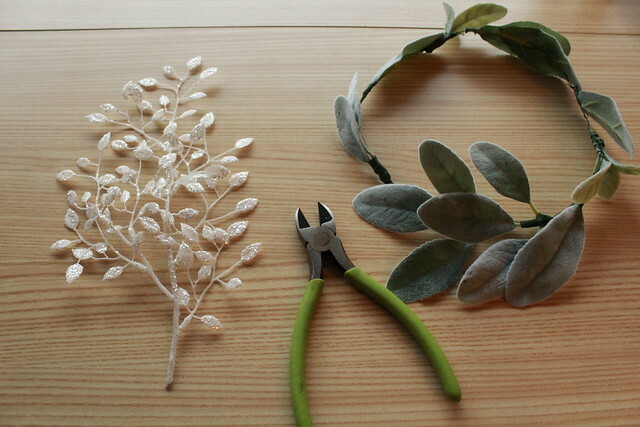 I didn't want the hot glue "webs" to mess up my flowers or leaves. 7. Some leaves should be secured at the ends and others in the middle to keep the natural look of the leaves around the crown. 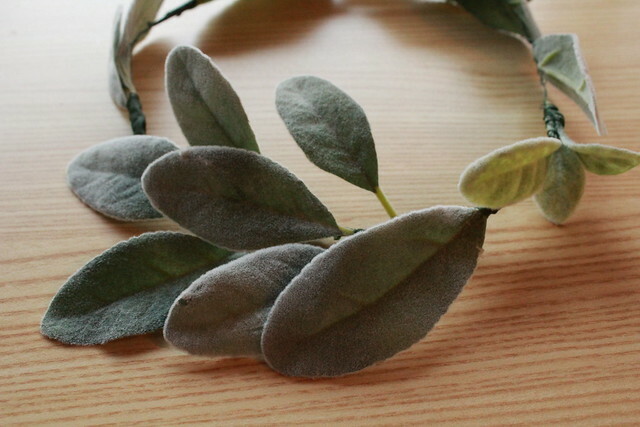 If all the leaves were sticking out (secured at ends) or flush to crown (secured in the middle), the crown would loose the natural look we are going for. 8. 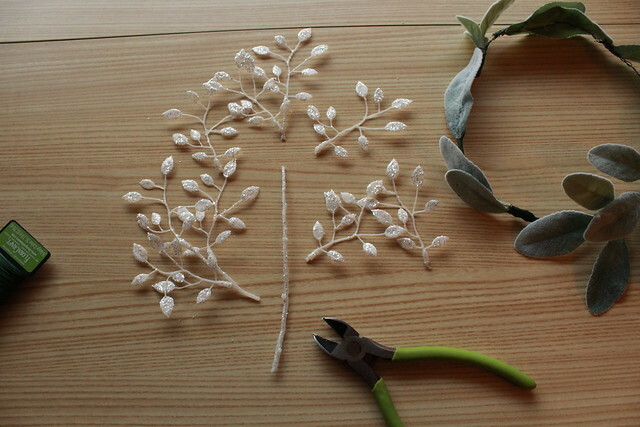 Continue adding leaves around the crown, leaving some gaps for your other florals. 9. 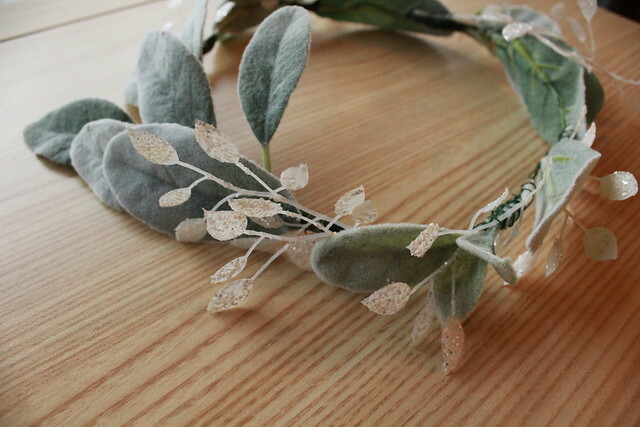 After I was satisfied with the number of Lamb's Ear leaves on the crown, I switched to the white plastic glitter leaves. 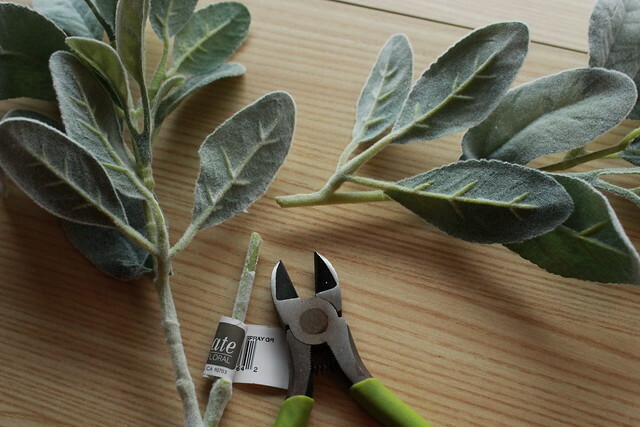 As with the Lamb's Ear leaves, secure some pieces at the end and some pieces in the middle. This allows the pieces to stick out or stay flush with the crown, depending on how you choose to secure them. 10. 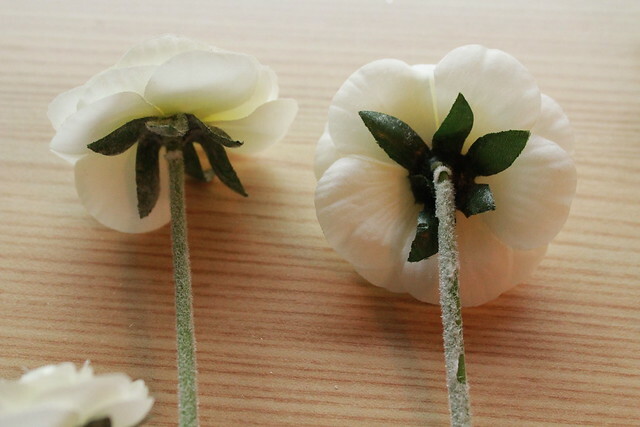 Once you've added all of the white glitter leaves, it's time for the flowers! 11. 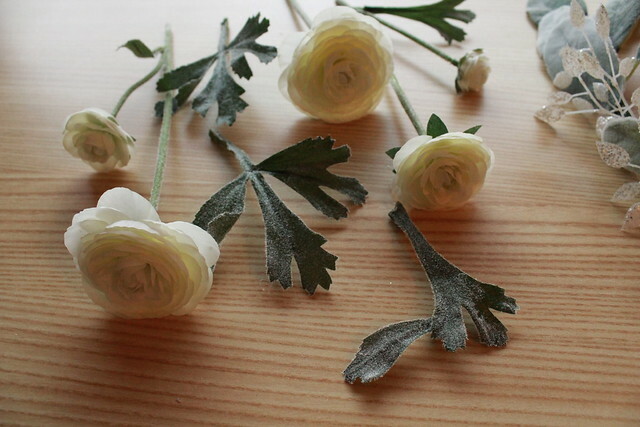 To make it easier to secure the flowers to my crown, I folded the stems to be flat or flush with the flower. 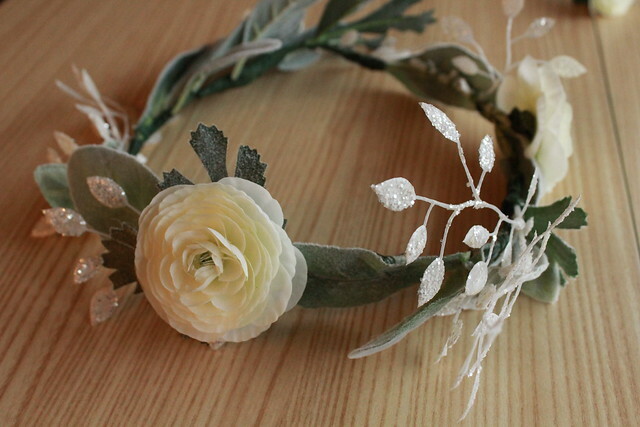 That way, I could wire the stem to the crown without the flower sticking out too much. 12. 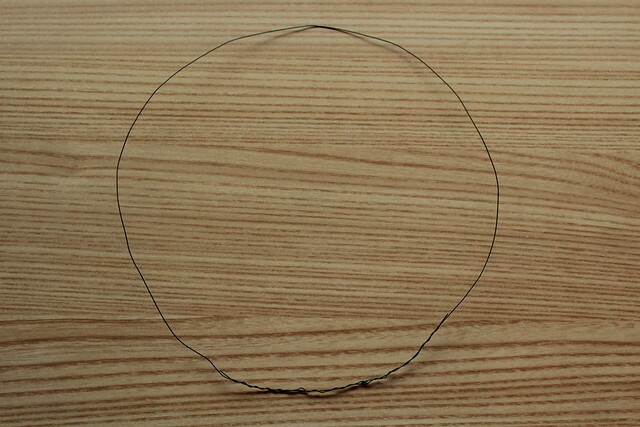 Now is a good time to decide where the front of your crown is. Go to a mirror and decide which part of the crown best flatters your face. Once you know which part is the front, decide if you want to place all the flowers at the front, or back, or spread them around the crown. I chose to spread my flowers out. 13. 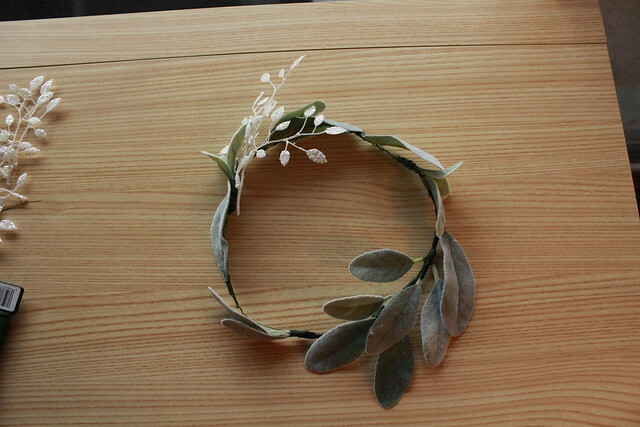 You can also use the leaves from the flowers to add some more texture to your floral crown. I did this with my crown. 14. 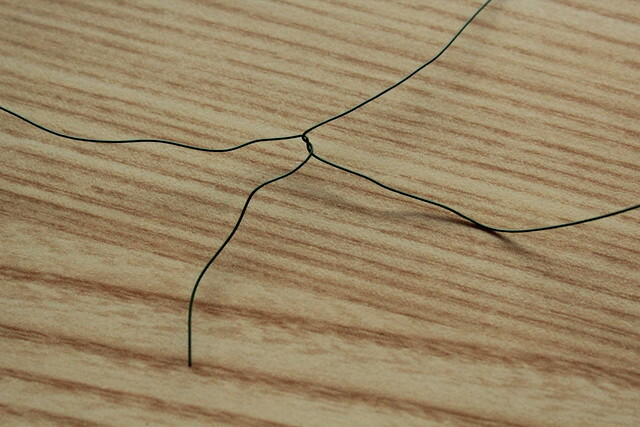 After securing the pieces with floral wire, remember to add floral tape to make everything extra secure. 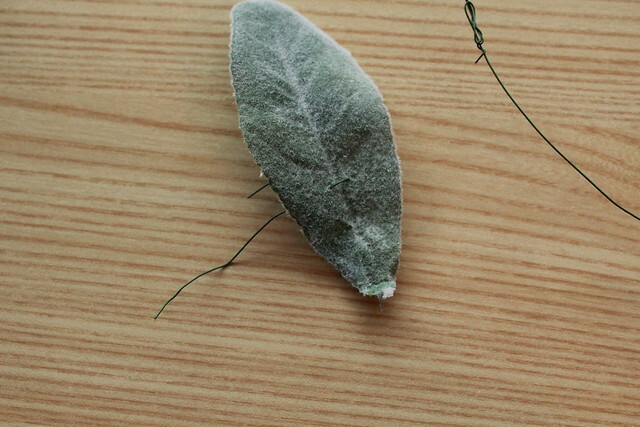 Again, you could use hot glue if you wanted to, but hot glue can easily pop off and the strings of glue sometimes create webs on your craft that you have to clear away. 15. Admire your work! 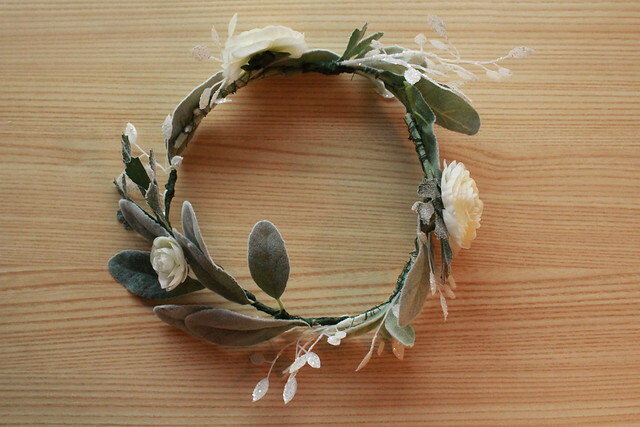 Channel your inner winter mystic and wear your floral crown with pride! 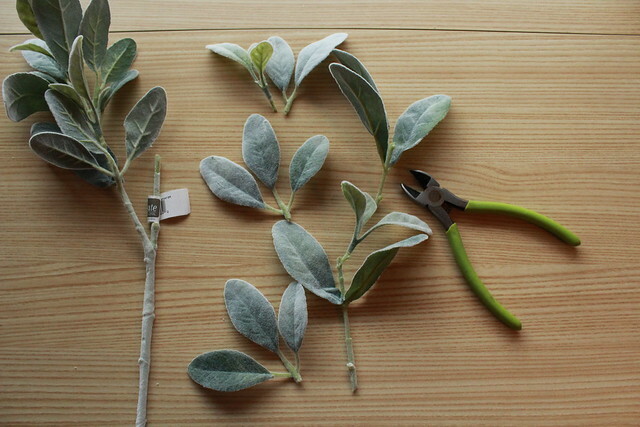 I hope you enjoyed this easy craft project and that you can use it to brighten your dull winter days! 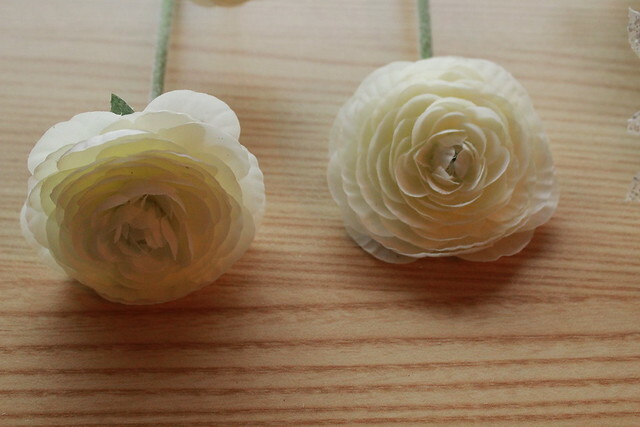 It really is a craft that's fun for all ages and can be as elegant or vibrant as you choose! There's no wrong way to craft, you just have to make time for it! What do you think? 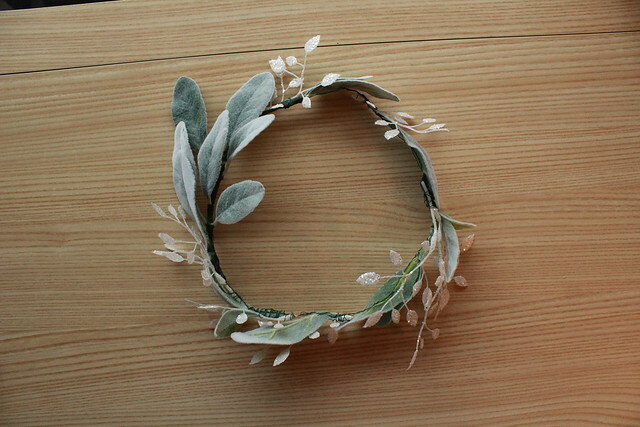 Do you see floral crown crafting in your future? It's early January, and for many part of the U.S. that means snowy weather is in the forecast! Louisville actually had enough snow and ice yesterday to cancel school. If you're looking for some ideas to entertain the kiddos (or yourself), here are some ideas! 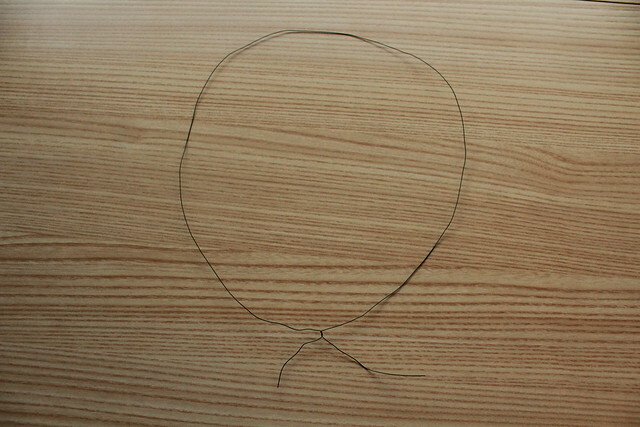 Instead of using ribbon to make ornaments, try a magnet on the back to stick on the fridge. Another tip--other lids like from peanut butter and jelly jars would also work. Just use the "top" of the lid as the back of the "frame" for your photos. If you have children at home, you probably have some wooden blocks that aren't being used. Re-purpose them by cutting shapes out of craft foam and gluing the foam to the block to create a handmade stamp! Let the kiddos play with their food for once by using small marshmallows and toothpicks to make shapes. 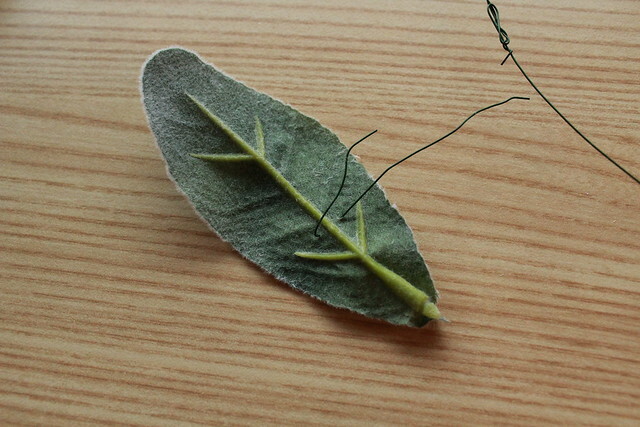 My nephew taught me this craft a few years ago. 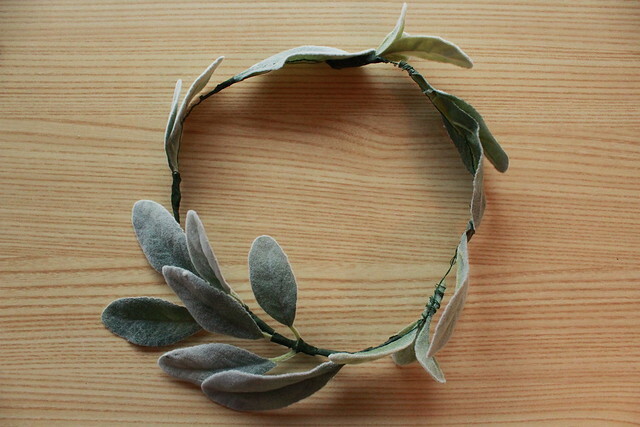 You might even try to make a crown, like we did. My nephew and I did this craft for Presidents Day one year. It's easy for kids of almost any age, and is a budget friendly way to keep them entertained at home. As you can see, stamps are popular around here. That's probably because they are such a cheap way to craft with household items! 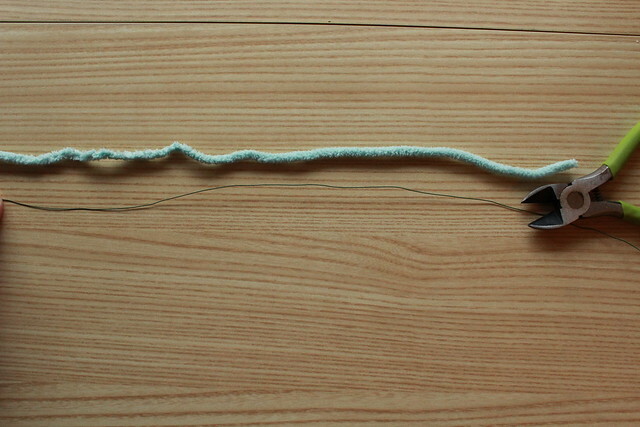 This is another craft easy enough for any skill level. My nephew and I used a Kentucky shaped cookie cutter for some of our stationary. 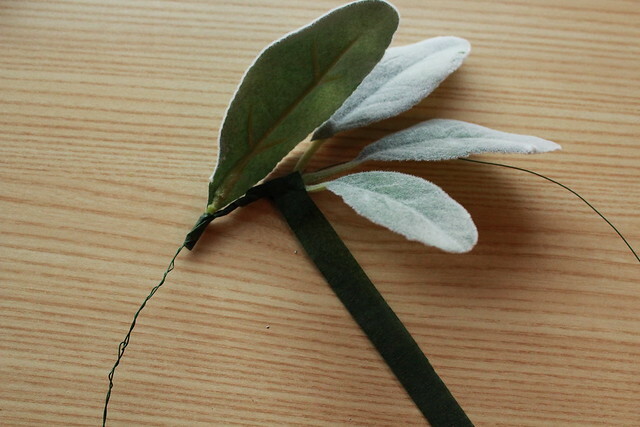 Hopefully you have enjoyed some of these easy craft ideas for snow days! I know there are always shows or movies to watch or cookies to bake, but sometimes it's nice to entertain yourself or your kids with something crafty!